1. 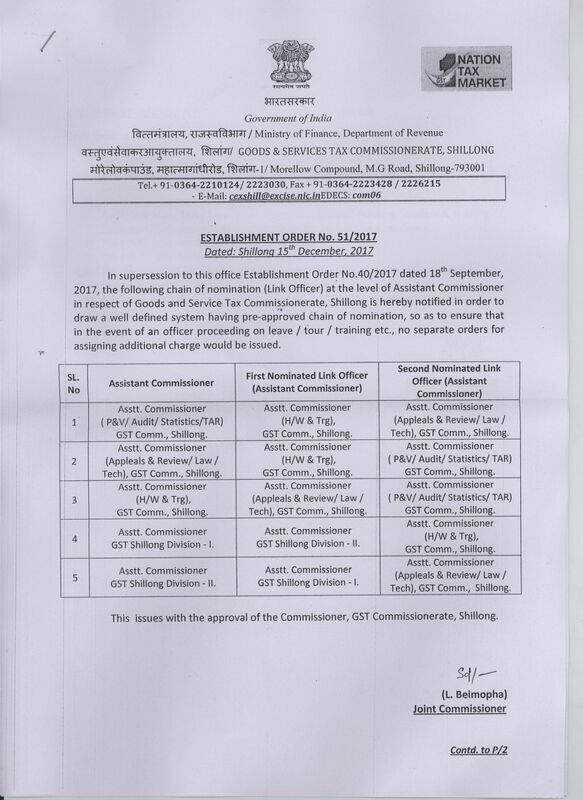 48/2017/12.12.2017 Allocation of Charges of Group "A" Officers, GST Commissionerate Shillong. 2. 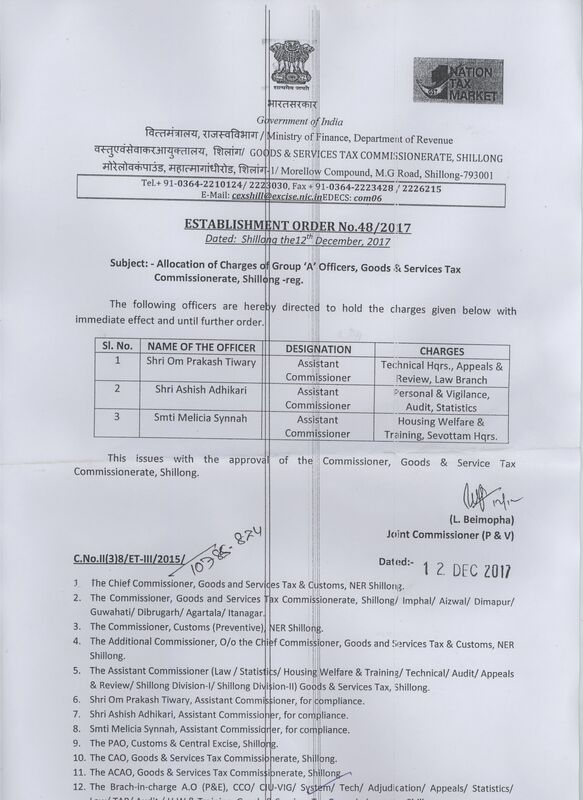 51/2017/15.12.2017 Nomination of Link Officer at the level of Assistant Commissioner.